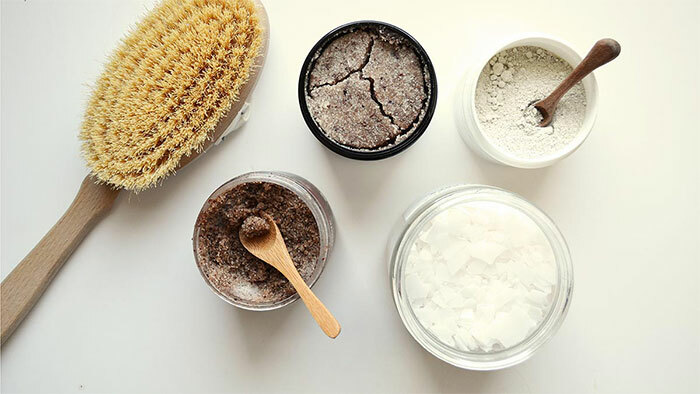 Proper exfoliation is essential for helping skin have a fresh glow, but overdoing it or choosing the wrong method, can really damage your skin. That’s why we’re going to cover exfoliation basics that everyone needs to know and the best ways to exfoliate your face. 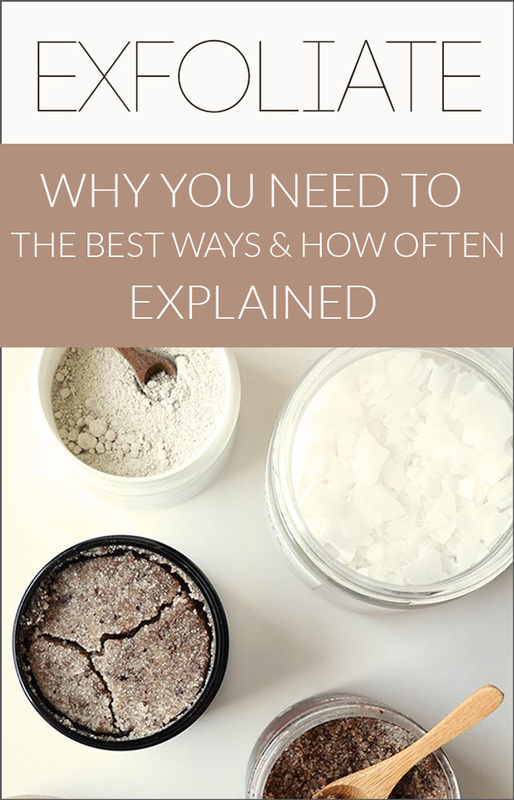 Below you’ll learn all the facts of exfoliation and why acid peels aren’t scary, at what age you need to avoid microdermabrasion, and why that familiar apricot scrub from the drugstore wreaks havoc on skin. For this article we’re going to focus on point #2 and talk about the facts of exfoliation. Your skin regenerates itself constantly, and in a typical 30-day period, a cell should make its way to the epidermis, or the outermost layer. However, things like age, pollution, diet, and weather all play a role in dead skin cells not shedding themselves naturally. Exfoliation is important because as we age, our cell turnover gets sluggish and we could use the help. 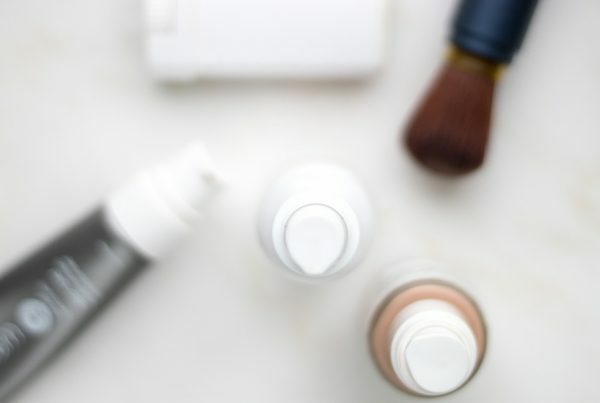 It accomplishes a few things at once: it decongests pores, lightens and brightens the skin, and allows other products (say your moisturizer) to penetrate more deeply, thus being more effective. Most types of exfoliation typically deal with the epidermis and is the process of removing the older, dead skin cells from the top layer of skin. This is called superficial exfoliation. Most people need to exfoliate about once a week on their own with a mechanical exfoliator, like a scrub. However once you turn 30, it is wise to get a professional peel or microdermabrasion treatment every other month to encourage cell turnover and keep your complexion clean, bright and youthful. Stay away from strong, medical peels that reach the dermis, which is the living part of your skin underneath the epidermis. In my opinion, those types of treatments are too invasive and do more bad than good by causing intense edema [inflammation] of the dermis, which ultimately ages your skin. Acids are a group of cell turnover accelerators that are considered “chemical” exfoliants. They work by loosening the “glue” that holds the skin cells together. Acid exfoliation dates back to the Egyptians, Cleopatra was the ultimate beauty queen- she knew all the tricks and used milk to gently exfoliate her skin. Milk contains lactic acid, which is an alpha-hydroxy acid, or AHA. All AHA’s can be naturally derived or synthetically created. Out of all AHA’s (glycolic, lactic, malic, etc.) used in cosmetic products, I prefer lactic acid by far. Lactic acid has a larger molecular chain structure, allowing for a more gentle penetration and result. In addition, lactic acid in particular has better lightening properties as well as superior hydrating effects. At once, it is both mild and efficacious. Glycolic acid is another AHA and is more widely recognized. Glycolic acid has a shorter molecular chain structure, so it irritates the skin easily. However, as far as loosening the glue that binds the skin cells together, it does a great job. As it loosens the glue, the dead skin cells slough off, allowing for a smoother, brighter and clearer complexion. Beta hydroxy acids, or BHA’s work the same way as AHA’s, they loosen the glue. The most well-known BHA is salicylic acid, which is naturally found in willow bark. The advantage of salicylic acid is that it has the ability to penetrate fats and lipids, so it is great for decongesting clogged, oily skin. With all acids, my recommendation is to make sure you stay under a 25% concentration. Over the counter products will always be 10% or lower, however if you get a professional facial, request a percentage that is no higher than 25%. This way you are ensuring a good result without too much irritation. Scrubs are considered “mechanical” exfoliation. Mechanical because they always consist of a rough or abrasive particle in some type of cream or solution that is meant to “rub” the dead skin cells off the face with manual manipulation. Scrubs can be dangerous, depending on what’s inside them. For example, if the rough particle introduced is uneven and jagged, it can cause micro tears in the skin, which over time can wreak havoc on your complexion. My recommendation is to find a reputable brand and stick with it. A scrub should be used 1-3 times a week (depending on your skin type) for it to be effective in keeping your face free of dead skin cells. Microdermabrasion is a professional treatment and should only be done by an esthetician or doctor. It is also considered “mechanical” exfoliation and is performed with a machine that has a wand attachment that abrades the skin by sweeping micro-crystals across the face with lightening speed while the suction removes the used crystal particles as well as the dead skin that is being “abraded” off. It sounds scarier than what it is and as long as you have a reputable professional doing the treatment you should be fine. It is really good for scars and pigmentation and has no “downtime” at all. Hypersensitive clients, as well as rosacea sufferers, should not do this treatment as it is too physical and will over stimulate the skin. This treatment is best for individuals who are under 40-years old and thick skinned. There are other ingredients that encourage cell turnover, or exfoliation, like retinols, vinegar and harsh particles like loofah and sand. With all types of exfoliation comes sun sensitivity, mainly because there are fewer layers of cells as protection so be mindful of using your sunscreen and staying out of the sun while it’s at its strongest. Caterina is a NYS certified and licensed esthetician as well as a medical esthetician. She began her career in skincare studying ingredients within a product development role. After advancing into medical esthetics, she pursued a holistic approach learning how to incorporate Ayurvedic healing elements. Caterina is a skincare trainer and consultant who teaches her techniques on achieving healthy skin to estheticians, spa owners and retail partners. Hi Kristen ,I am 49 and use the papaya enzyme peel by Elemis , is this enough for my age ? Hi Julia, I’m not familiar with the line or your skin to give you any kind of advice here. I do offer skin consults with one of the best estheticians in the country who focuses on internal and external health. If you’re curious about that, see the services at the bottom of this page. For 50+ skin (again it really depends on the thickness and condition), I personally recommend spa professional peels because there is no manipulation and there is no abrasion causing micro tears etc. I mention spa peels because they are strong enough to be effective but still only work on the superficial layers of the skin (they do not penetrate the dermal layer like “Dr”peels do). They are great at exfoliating the dull, pigmented, dry dead cells that have a harder time sloughing off naturally. They are not all organic and natural so if synthetic ingredients completely offend you a great alternative is spa strength enzyme peels which also do a good job at eliminating dead cells. Some enzyme peels (think pumpkin and papaya) are amazing and give the skin an instant glow. Once your skin is properly exfoliated, your other products (like your moisturizer) will work better as it is able to penetrate deeper. For a clean, at home exfoliator, I really like one from One Love (it has both pineapple enzymes and grains) for a gorgeous glow! Hi Kiki: Beauty Counter’s Gentle Exfoliator does have dissolving jojoba beads (instead of plastic) for exfoliation, which our oceans appreciate. It also seems to have lots of yummy antioxidants and some great soothing skin agents like aloe and organic coconut oil. That said, when they say gentle- it is definitely a gentle exfoliate, something that can be used every day. There are no strong ingredients, or rather powerful ingredients to produce a deeper exfoliation. As a side note, there are some synthetic preservatives (in tiny amounts)- if that bothers you. Can you tell me your thoughts on Beautycounter’s exfoliate? It contains jojoba ester beads as the exfoliant. I would love to hear your thoughts on that products. Thank you for explaining the different acids and their role in the exfoliation process. If microdermabrasion is best for the under 40, thicker-skinned faces, what would you suggest for 50+ skin? Also, would love some recommendations for good scrubs containing clean and/or organic ingredients. Thanks! !